This mural was created for a little boy named Oskar who absolutely loves owls! The imagery for his mural is inspired by an illustration in one of his favorite books, "My Friends" by Taro Gomi. Instead of painting the mural directly on his bedroom wall, his parents wanted me to create a movable mural so that they could take it with them if they moved. Therefore, I painted the mural on unstretched canvas and it is being installed with small grommets around the edges for easy hanging and removal later. We wanted the mural to be simple in design and yet rich in color and little details. 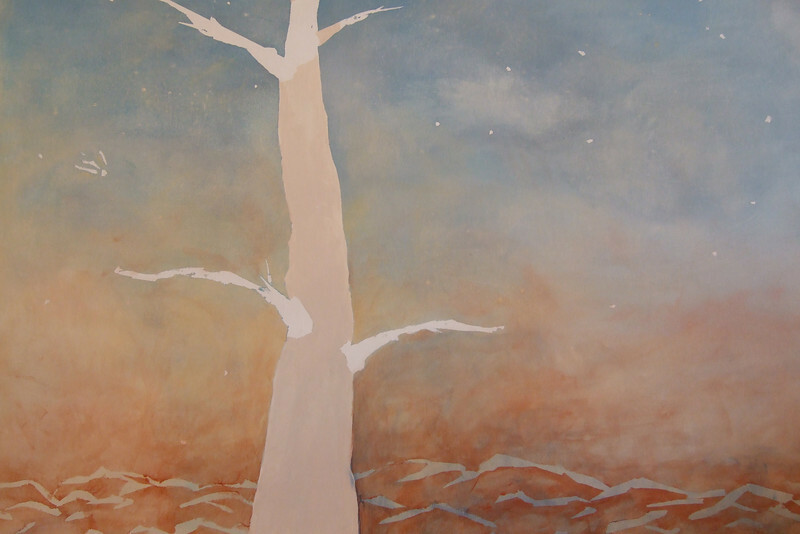 To create clean and stylized imagery I used painter's tape to block out images such as the tree, owl, and sky details. Multiple layers of color were built up to create depth in the sky and give the piece a spacious feel.